Never underestimate the power of a healthy smile. It makes you more attractive, approachable and boosts your confidence. It doesn't matter if you have crooked teeth (like me! ), a beautiful smile is clean, strong and sparkling. Not only do we have to keep our teeth clean, it is important to care for our tooth enamel too. Darlie Double Action Enamel Protect is the only toothpaste in Singapore that offers a unique Enamel Protect formula that helps strengthen teeth via a 3-function protection – Shielding against acid erosion, Locking in calcium and Strengthening teeth enamel, all while maintaining clean, fresh breath. We all know that drinks like coffee and wine are bad for our tooth enamel. 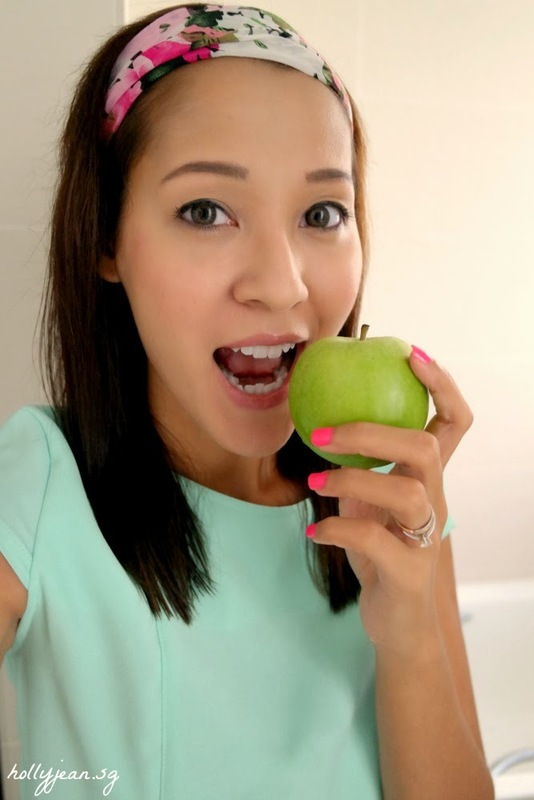 But did you know that even healthy food like apples and oranges contain fruit acid which may cause damage to the teeth enamel and lead to oral health problem such as sensitivity. I have been using the Darlie Double Action Enamel Protect for 2 weeks now, and I'm happy with the results. It cleans my teeth effectively and does not feel abrasive. 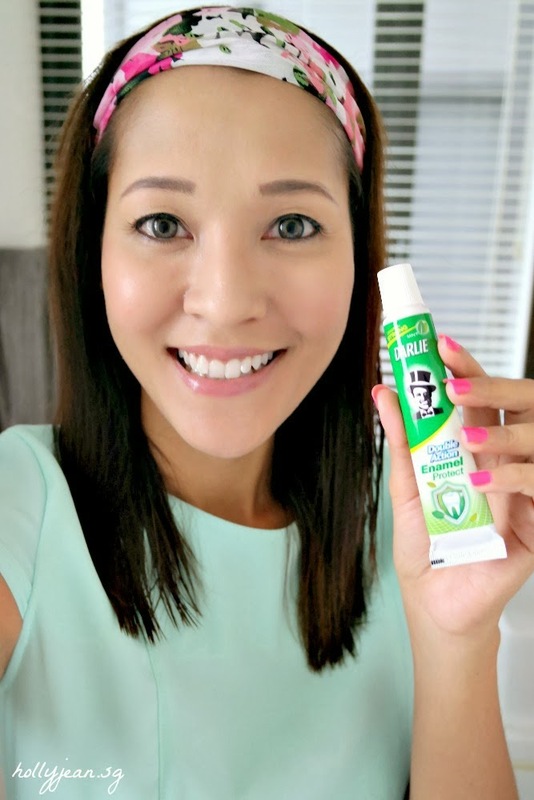 I also love the strong mint taste as it's very refreshing and keeps my mouth smelling and feeling fresh. By strengthening my tooth enamel, I don't face problems of sensitivity or pain when eating or drinking very cold stuff. This toothpaste does so much more than my regular toothpaste, it is great value for money. 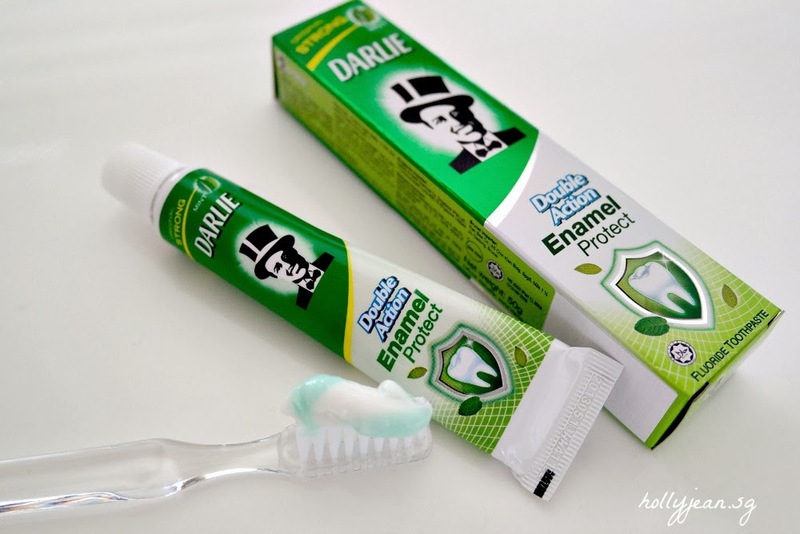 Darlie Double Action Enamel Protect Toothpaste 200g is available in both Original Strong Mint and Mild Mint at a recommended retail price of $3.55, and available at all leading supermarkets and pharmacies. You can also get a Free sample (50g tube) from SampleStore! 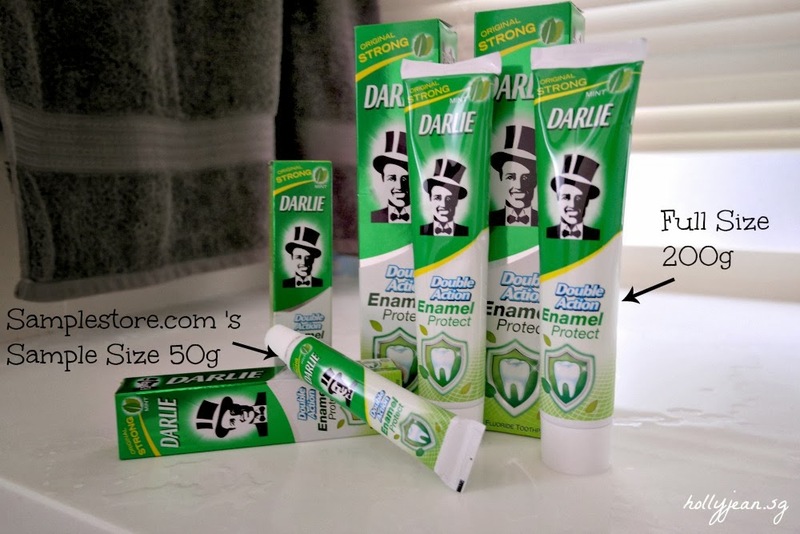 Strengthen your tooth enamel, show off your beautiful smile and WIN prizes now! Take part in the Beautiful Smile & Best Review Contest. Simply redeem a FREE Sample (50g tube) at SampleStore.com from 11th Nov 2013, and then submit a review with a photo of your smile. (It's absolutely free, no delivery charge for this item). You stand to win Watsons Gift Cards plus Darlie product hampers. Is it true that the black strip at the bottom of the tube indicates that it is fully chemical. Saw on fb that there are other colored strips that indicate more environment friendly ingredients used. I'm Julie from GlassesOnline Singapore. 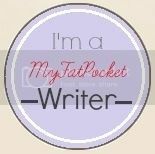 I really like your blog and I would like to collaborate with you.